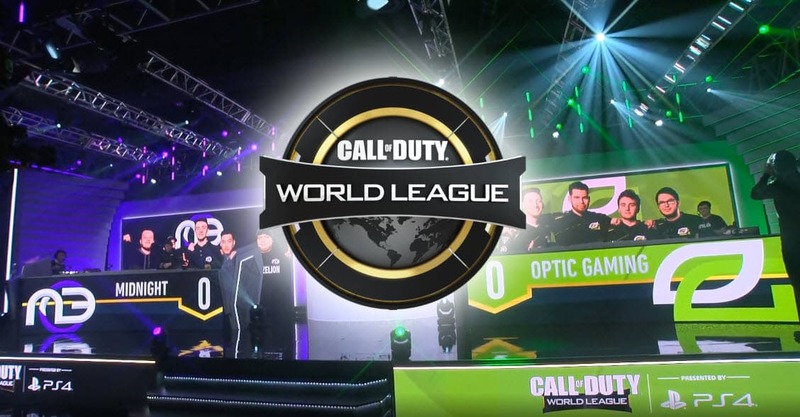 The second match to start the CWL Pro League 2019 season was Midnight vs OpTic Gaming. Midnight were obviously the underdogs coming into this match as OpTic Gaming is coming off a fresh tournament win from the Vegas Open. But OpTic Gaming was without Dashy who couldn’t make it to the tournament. He was being replaced by FazE ZooMaa. 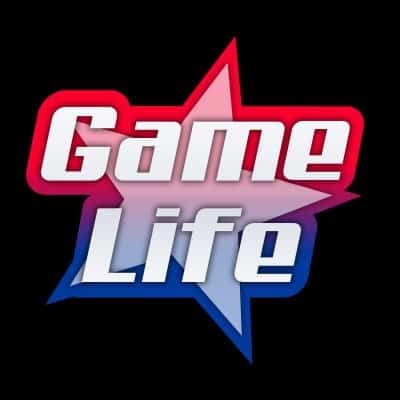 Would this throw off OpTic Gaming? Here is the Midnight VS OpTic Gaming Highlights. Midnight came out of the pre-league qualifiers, going into the CWL season playing OpTic Gaming to get their first taste of the professional league. Midnight’s confidence is at an all-time high, going 6-0 on lan and beating some good teams in the pre-league qualifiers. Many CoD competitive fans were looking forward to this match as Midnight came off as a top notch team in the qualifiers. This would be a big chance for Midnight as they weren’t the favorites coming in. If they would pull an upset, it would set the tone for the rest of the season. Another story was Dashy not being able to get through the border in time for the game. FaZe ZooMaa stepped in as a replacement for OpTic Dashy. He’s familiar with the play of Crimsix and Karma as there’s a long history of playing against each other there. However, ZooMaa would have to fill big boots for Dashy, as Dashy was the MVP of Vegas. 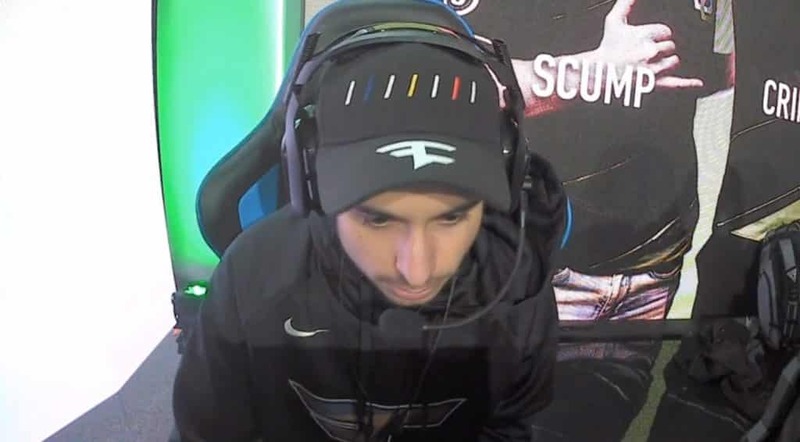 ﻿ Needless to say, FaZe ZooMaa is a top player himself, and definitely a great choice to step in for Dashy. This match would conclude the night of the first CWL Pro League season play. 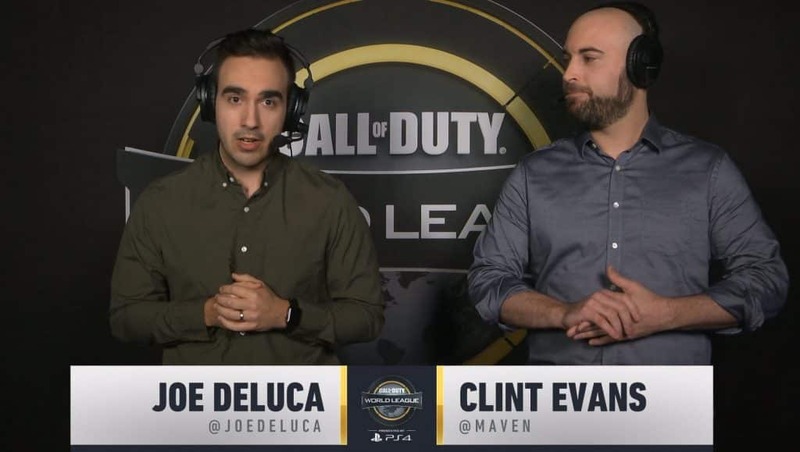 Calling the shots would be CoD casters Joe Deluca and Clint Evans. Pouring in from the gates was Midnight, coming out rock solid taking out OpTic gGming and going towards the hardpoint. However, that fell short as OpTic came in to steal the mid point. ZooMaa came in for a flank and made a nice big play taking out two Midnight players in Lambo Garage. OpTic Gaming then took early control in the Garage as the rotation switched from mid. Midnight was forced to rotate early and what looked like a great first 30 seconds for them ended up turning around in OpTic Gamings favor. OpTic continued to take early control, continuing with the hold in Garage. Scump and Crimsix stepped up and started getting combination kills. Half way through the match, OpTic Gaming got a nice spread being up 60 points. The rotation kicked in and Midnight came back taking control of Fountain. Zoomaa rushed the Foundtain hardpoint and got two kills, helping OpTic Gaming position there. Moving forward in the match, the rotation moved towards the Garage. Midnight broke into the game and took the Garage away from OpTic, climbing back up towards OpTic’s hardpoint score. Midnight kept staying in the game, winning some key gun fights to hold down the Garage. Going fast forward, the rotation went to the Fountain. Midnight once again took control of the area with OpTic leading 177 to 138 by that point. Parzelion took out his Annihilator and took out a bunch of Optic players holding down the Foundtain. Midnight got their first lead at 178 to 177, taking control of the game now. A crazy battle happened at the lambo rotation where Midnight came back and took control ove rthe area getting up 231 to 215. Midnight uses the firestrikes and BEAT OPTIC map 1. The start of Round 1, Midnight ran towards B side and planted the bomb, catching OpTic Gaming off guard. Scump was caught in the end with a 1v2 killing a Midnight player at the end but with the time counting down, had no choice and let the clock count down. In Round 2, OpTic was on the offense, planting the bomb quickly at B. Karma locked down the flank. Crimsix and TJ were taken down, and Zooma died behind Fountain. Midnight was able to take out all 5 OpTic players and defuse the bomb to win Round 2. Midnight was on the offense in Round 3. Both teams exchanged kills in the beginning with Scump taking out LlamaGod first, and TJ going down after that. Midnight then planted the bomb at site A. Scump and Zooma went down in the middle to get to the bomb site and got killed from the back from a Midnight player hiding inside a room. Midnight ends up taking round 3. OpTic Gaming was going to go down so easily. They headed towards A with Midnight meeting them right at the point. Firing between the two teams persisted and OpTic Gaming killed all Midnight players getting a round finally. Strong gun showings for OpTic as they took Round 4. In Round 5, Scump rushed Foundtain getting the first kill. Midnight planted the bomb at right away, but OpTic wasn’t phased by it, rushing to the Bomb site and taking out all of Midnight’s players in true OpTic fasion. OpTic Gaming has to plant the bomb in Round 6. They choose the A site. Midnight meet head to head and gave a hard battle, bringing OpTic down to just Teej (TJHaly). TJHaly was the last survivor, going up in a 3 v 1 in the end. Midnight cornered him in, killing him and then defusing the bomb to take the round. Midnight was up in SnD 4 to 2. At the start of the round, OpTic gets the first kill, but Midnight comes back with two kills, and then settles down to a 3v3. Envoy then flanks and Brack gets 3 kills to win the round 7. Round 8 went in favor of Midnight, who won with a 2v1 situation in the end when Crimisix picked the bomb and tried to go for the plant. Midnight was looking dominant against the titans, taking control of the first two matches. Round 1 had Miodnight starting the match, taking a commanding lead only dropping 1 life on the break while OpTic dropped 6. OpTic has no progress, and it’s been a purple wall shutting down the Green Wallc. OpTic gets no progress in the round 1. It was a clean win and early map control by Midnight. Midnight only lost 4 deaths in the first round. That’s as close as you’ll get to a perfect in a control. In Round 2 , Optic comes out strong taking out 3 Midnight players off the bat, setting the tone for the round and showing that they won’t go down easy. Midnight catches the advantage mid way while Optic Gaming was trying to figure out Midnight’s spots on the map. Optic still gets map control but Midnight starting charging in and bringing in the pressure.The match is tight and with the clock going down, each team had 9 lives left. Midnight turned it up and went on a rampage, with Envoy taking out his Tempest and taking down Optic, pulling a Dashy in Vegas. Midnight taking the round for the win. The last round started with Midnight issuing a lightning Strike, which killed a few Optic players. But Optic came back strong. OG continues to win some key gun fights and now are becoming stronger as the match continues. Optic needs to get B to get things going. The kills and match control is pretty even. JetLi then comes in with a Gravity Spike and kills 3 optic players after a hard fight for control on West side. Midnight continues coming on strong and at this point. Optic needs to come in strong as well to put pressure and cool down Midnight’s momentum. Envoy pops up a war machine and takes out Optic, but TJ comes in and takes out Envoy to put the war machine to sleep. It’s an intense 5 v5 match. But Midnight was just too strong for OpTic today as TJHaly was the last man standing and concedes. A solid play by Midnight, who took every advantage they could to beat an OpTic team that wasn’t prepared for the missing of one of their star players. It was a solid statement from Midnight. They sweep Optic gaming with an unbelievable show. Midnight showed that they were not intimidated by OpTic Gaming and are ready for the CWL Pro League 2019. OpTic finished off strong, and with ZooMaa holding up his own.